Meet the 2019 ACE team, who will be traveling to China, South Africa, Peru, and Vietnam. Meet the team. Once your ACE program is complete and you’re back on campus, there are many ways for you to continue to reflect on your experiences and build on what you learned. To help you with this, ACE works with ACE student-athletes to think about how to engage after your program ends. After returning from your ACE program, each student-athlete creates an Action Plan to map out ways you can continue to build upon your ACE experiences. 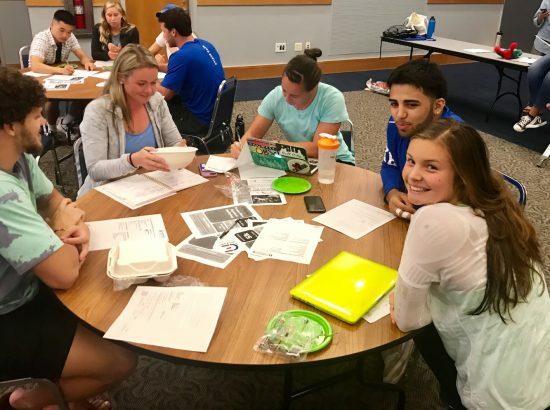 These Action Plans are unique for each participant but students are encouraged to focus their plan on one of the following areas: academic/professional development, ongoing service, issue awareness, or athletic development/leadership. Based on their Action Plans, past student-athletes have created service opportunities for their team, taken language classes, coached a children’s clinic, and worked on communication skills, to name a few. 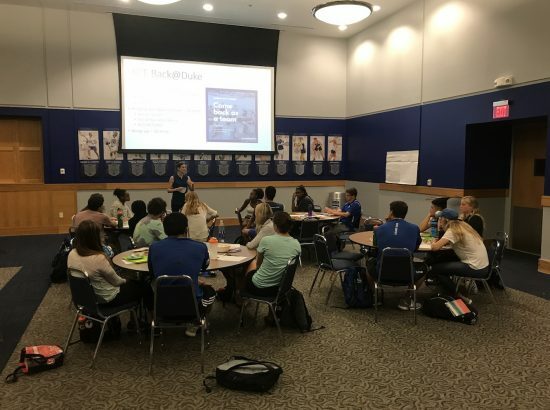 Almost 70% of student-athletes plan to spend a year or more on their Action Plans, allowing for time around their academics and athletics schedules to see their Action Plans to completion. ACE in China helped Isabella Duan realize how important it is that information is presented to students in a tangible way. Isabella put these skills to use with Splash, a teaching extravaganza taught by Stanford students to local high school students. Read Isabella’s spotlight. Since returning from ACE in India, Kate has carried out her Action Plan by identifying and regularly volunteering with Bull City Fit, an organization focused on health and education in the Durham community, and built upon it by solidifying plans for further immersive service. Read Kate’s spotlight. For ACE in Vietnam alum Mitch Finesilver, a local elementary school has been a great place to continue the type of civic engagement he began during his ACE experience through tutoring and leading educational activities. Read Mitch’s spotlight. 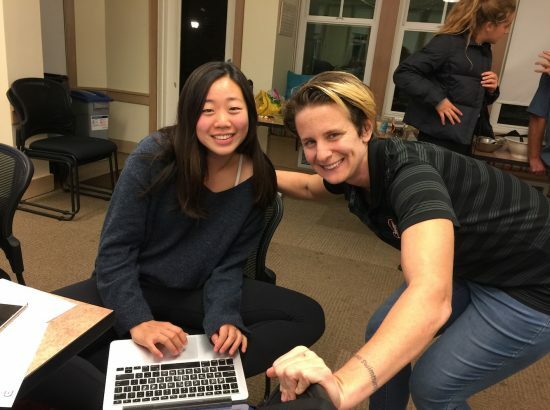 While many ACE athletes find one particular way to sustain a life of service, Sophia Sole (ACE in Vietnam, Stanford Women’s Sailing) has planned and led several different events throughout the year with elementary education as a common thread. Read Sophia’s spotlight. While in Vietnam, Kevin Gehsmann recognized a need for social innovation and is now pursuing an Innovation & Entrepreneurship certificate to build these skills. Read Kevin’s spotlight. 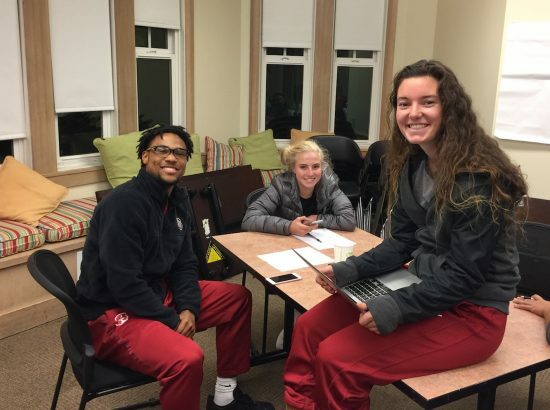 Mackenzie Wiley is taking public health classes that connect her experiences working in health outreach in India and her International Relations major. Read Mackenzie’s spotlight. Abby Artmann developed her teaching and collaboration skills in China, which she will use in her career as a teacher. Read Abby’s spotlight. ACE in South Africa expanded Logan Karam’s understanding of service to an international level and she is now pursuing more volunteer opportunities abroad. Read Logan’s spotlight. After returning to campus in the fall, the entire ACE team meets together at the Back @Duke and Back @Stanford events held at each campus. These events provide an opportunity to share experiences from the summer, discuss Action Plans together, and provide peer support. ACE staff and other on-campus resource staff are also present at the Back @Duke and Back @Stanford events to help participants refine their plans and start working towards success. In addition, reunions are held with members from each ACE group and the ACE Ambassadors as another way to reflect back on the experience. Your experiences at ACE do not end once your plane lands back home –your time participating in the ACE program continues back on campus with opportunities for further engagement and growth.